Have you ever tasted the crunchy, savory goodness of fried chicken made with Punachicks organic chicken? If your taste buds do a happy dance at the thought of Big Island raised fried chicken, mashed taters, and bacon-infused local greens come by to pick up dinner on Friday, May 3rd. Join us on every first Friday of the month for a Fried Chicken Pop-up at 5pm. 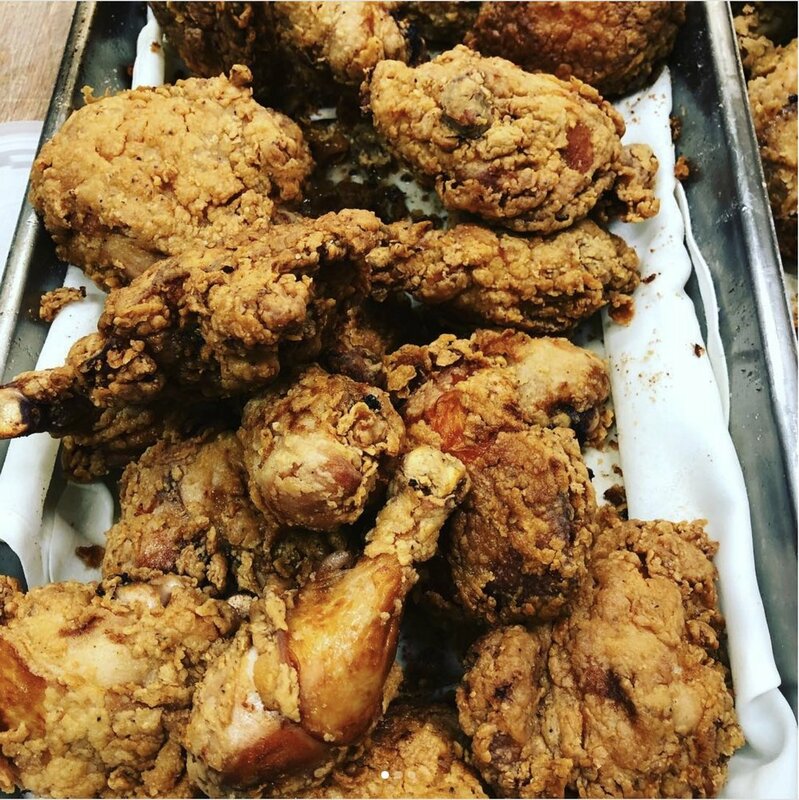 We'll have buttermilk fried chicken for sale for $15.99/lb, made with organic, pasture-raised Punachicks chicken. Make it a dinner with bacon-infused local greens, mashed taters, and gravy as sides. Get in line early before we sellout!